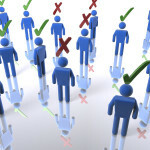 The great folks at The Gospel Coalition asked me to write a few articles on staffing. Here is the first one I wrote that is also posted on their website. Pastor David is perpetually frustrated, and he is self-aware enough to know it. As his church is growing, it seems he is always overwhelmed with details, dropped balls, and urgent discussions and decisions. In response, he is about to hire another part-time staff member. He thinks, If I can just get another body on my team, surely some of this chaos will dissipate. 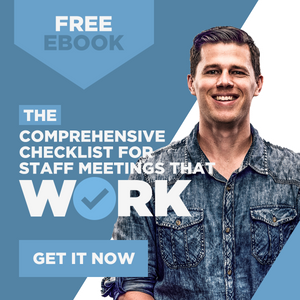 Pastor David is stung by the question, and as he reflects over the next several days, he realizes his staffing philosophy has been more reactive than proactive. Reactive staffing responds to the urgent, the chaotic, and the squeaky. Reactive staffing certainly addresses the needs that the leader feels, but these “felt needs” are not necessarily the “real needs” of the church. Because reactive staffing responds to the most chaotic and squeaky areas or departments, these underperforming areas are prone to receive more resources and support than areas or departments that are more likely to advance the mission of the church. While relieving short-term stress, reactive staffing only treats the symptom of the problem—not the deeper issue. So within a few months, the chaos returns. Instead of addressing chaos, reactive staffing may in fact elevate the chaos. To “fill a gap,” a pastor will sometimes hire a hardworking but unskilled leader. In these cases the individual, because he lacks wisdom and the ability to mobilize a team, actually adds more work to the team rather than effectively distributing the load throughout the body. The hardworking yet foolish staff member only creates more and more unproductive work for everyone else. Far from a stress reliever, this staff member is a chaos contributor. While a lazy staff member is a disgrace, at least he does not clutter everyone else’s calendar or inbox with meaningless discussions. Proactive staffing considers the important and future needs of the church and plans to staff accordingly. This practice doesn’t necessarily mean that a leader hires before more growth occurs, as resources must be in place to finance the personnel costs. But it does mean the leaders hire strategically rather than reactively. The practice of proactive staffing requires deep discipline because it looks past the current and seemingly more urgent “fires” in favor of another entirely different direction or initiative. The thought of robbing the ministry areas poised for the greatest impact by rewarding the chaotic ones with more resources terrifies leaders who practice proactive staffing. Ultimately a pastor’s approach to staffing, whether reactive or proactive, reveals his theology of staffing. Reactive staffing is built upon an unbiblical, or at least an incomplete, ecclesiology. When I was a 22-year-old student pastor, a godly mentor revealed my faulty theology of staffing by lovingly and graciously confronting me about my reactive approach. I was feverishly attempting to minister to every student, be at every game, know every issue in each student’s life, while simultaneously preparing messages, running details for programs, and planning events. 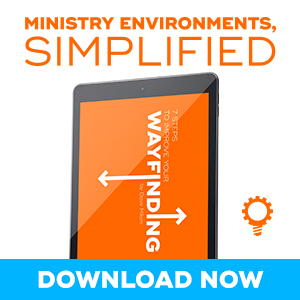 As the ministry grew, things began to feel more and more chaotic. The logical solution, in my mind, was to hire part-time staff members and interns. During the original Jethro conversation, found in Exodus 18, Moses was confronted because of his unhealthy approach to ministry. He was feeling the burden and weight of growing responsibilities. Not only was he overwhelmed, but the people were going home unsatisfied. Jethro told Moses to build a leadership system with godly men to distribute the care for all the people through other leaders. He asked Moses to stop doing ministry and prepare others to do ministry. My God-ordained Jethro conversation resulted in the realization that, essentially, I left the ministry when I became a pastor. In my identity as a follower of Jesus, I must always be a servant—never being above setting up chairs. But in my role as pastor, I am called to prepare others for ministry. And preparing others for ministry means preparing believers in the body to minister to each other, not outsourcing the ministry to relieve pressure. Often I hear bemoaning from staff teams about the lack of volunteer engagement in their churches. Just as often I have discovered that the problem isn’t with the people in the church but a faulty staffing theology. Hiring staff from a reactionary posture perpetuates an unhealthy dependence on clergy and fosters low levels of volunteerism. (Pastors) >> Minister >> (People). Typically pastors or staff persons are hired to minister to people. The number of children increases, so the solution is another staff person. The number of sick people is on the rise; therefore, someone is hired to visit the hospitals. The number of counseling appointments increases; so another part-time staff member is added. Sadly, the typical approach hampers spiritual growth. People who are gifted by God and called to serve Him are put on the bench as they watch the professional ministers or the newest staff member make the ministry happen. They miss the joy of experiencing Christ serving others through them. And instead of fostering a serving posture among believers, the typical approach to ministry helps develop consumers and moochers rather than participants and contributors. The typical approach hampers the movement of the church. The effectiveness of a local church is greatly slowed as people are taught that the majority of ministry occurs through the “professionals.” The scope of the ministry therefore is limited to the time and abilities of a few people. The typical view is illogical; worse, it is unbiblical. Pastors with a biblical theology of staffing possess a deep-seeded biblical conviction that all believers are gifted for ministry, not just the “professionals.” Thus they invite all believers to engage in ministry and view themselves as equippers of the ministers within the church. The implication for reactive versus proactive staffing is simple, yet profound. A church leader who views staff as an opportunity to equip believers in the church will proactively and strategically hire leaders who can build networks, equip others, and mobilize volunteers. A church leader who views staff as people who “do ministry” will reactively seek to hire leaders when needs urgently or chaotically bubble to the surface.